Hidden within the tall Oak, Cedar, & Pine trees. 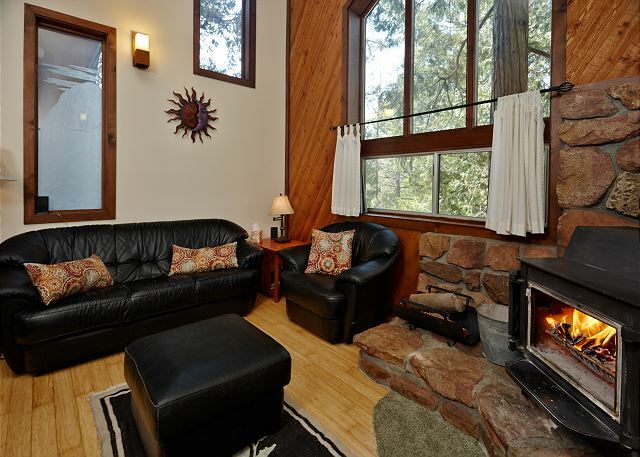 Enjoy a night in snuggled up near the fire. Living room windows make the room light up. Welcome to Hidden Oaks! 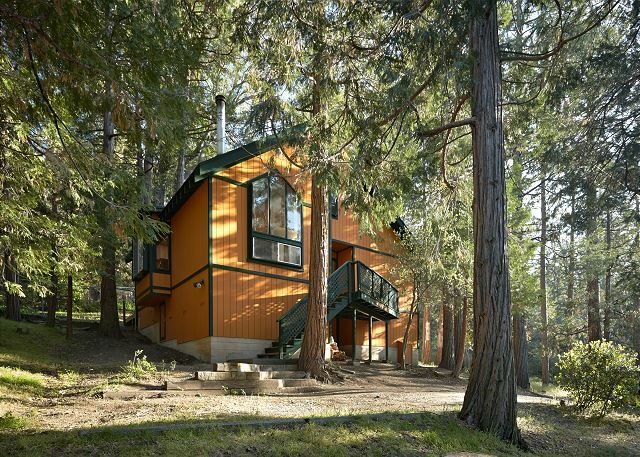 Nestled in the tall oak and pine trees, this home is perfect for groups who just want escape from the hustle and bustle from their everyday life and enjoy a weekend away from it all. Living room, dining room and kitchen have an open concept floor plan, which is perfect for gatherings (especially during the holidays). 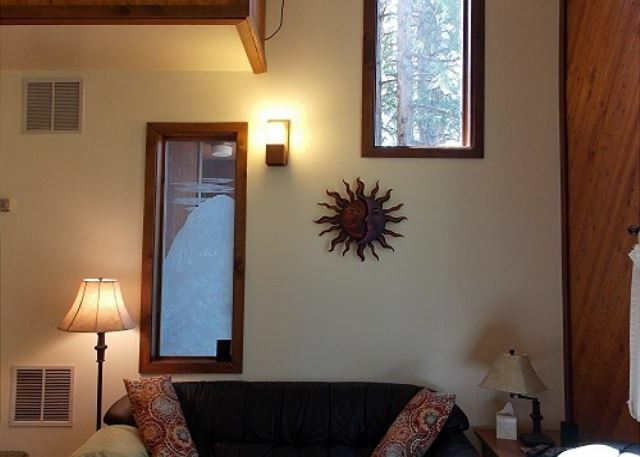 Living room has tall vaulted ceilings, a fireplace allowing you to stream your favorite shows on Netflix and Hulu. Home also has fun board games, which is perfect for family game night! 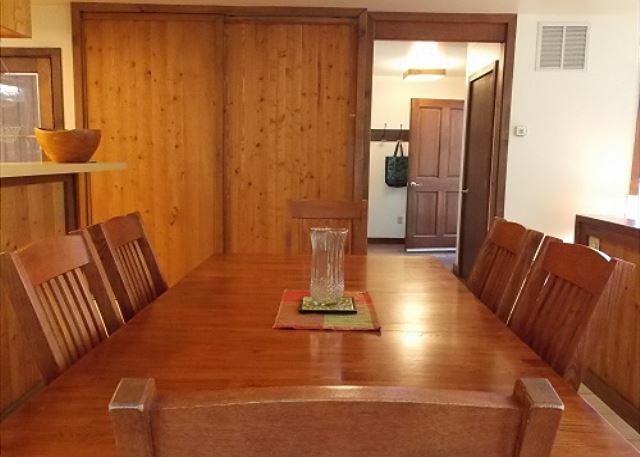 The home has four bedrooms and two bathrooms. 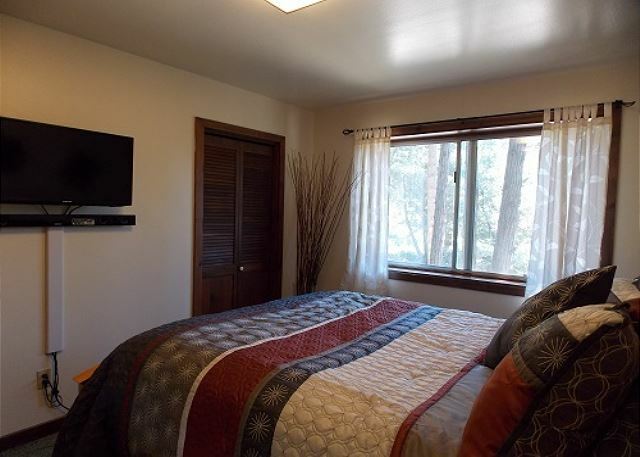 Two of the bedrooms are on the main floor. The first bedroom has a queen-sized bed and the 2nd bedroom has a day bed with a trundle that can convert into a king-sized bed. Upstairs the third bedroom is a loft style bedroom with a queen-sized bed and an in-suite bathroom. 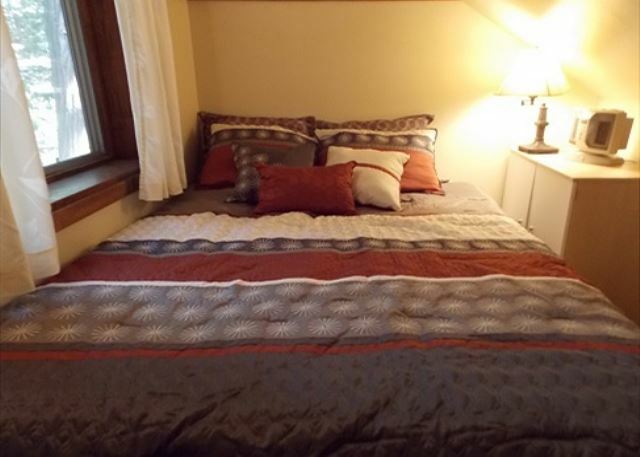 The 4th bedroom is located upstairs as well, which is accessed through the outdoor balcony, and has a double bed. The home features a spacious backyard that is fenced in, perfect for your fur babies to run around and enjoy the great outdoors. 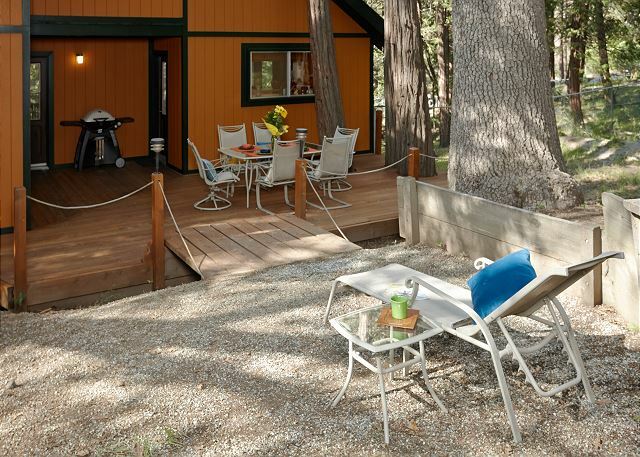 The backyard also features a large deck with a propane BBQ. 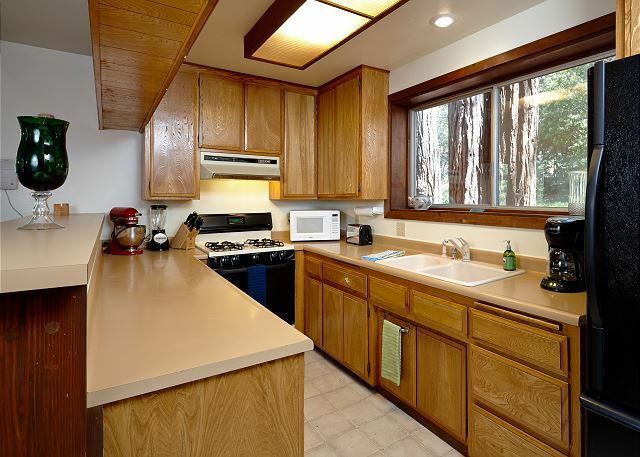 The home is just a skip and a hop away from town, close enough to make it a quick convenient drive (or walk if you , but far enough to feel off the grid. 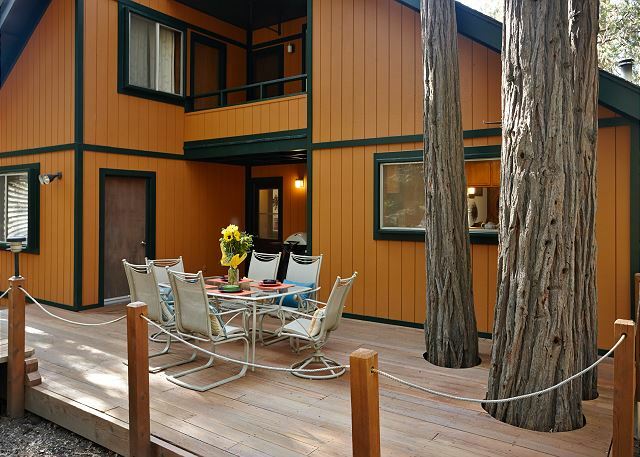 Also nearby is the Idyllwild Arts Academy as well as the nearby creek. 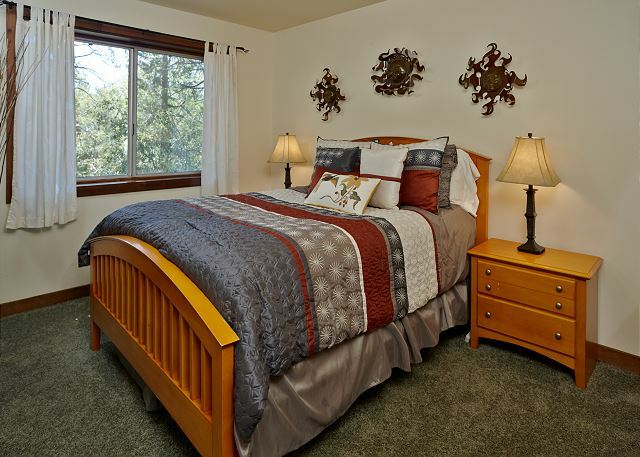 From the creek you will enjoy spectacular views of the nearby waterfalls and surrounding nature. Humber Park and Lake Hemet are also a short drive away from the home as well, allowing plenty of outdoor activities for you and your group to enjoy. The place was great, and I love that the backyard was fenced. I would say the information book should be updated to include where to put the ashes if we use the fire, and the sheets on the bed. It mentioned the towels, but not the sheets and if we needed to pull them off. The ashes for the fire the next day were not clear as to what dumpster to put them in. I saw piles of ashes in the backyard, but didn't want to just dump them. The sofa had duct tape on it, and I thought it should be replaced. Other than that, it was great. 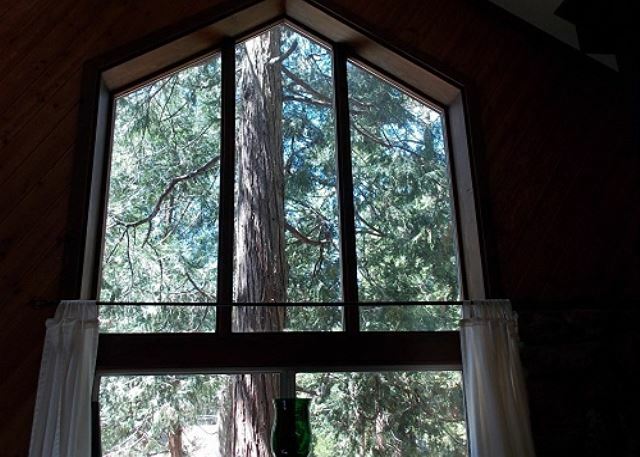 Came to Idyllwild 3 years ago for a month to escape Michigan winters. Stayed for 3 months. Came back the next year for 3 months. Now our 3rd year. Excellent place for mountain biking, 100's of miles of trails to ride in the area. Hidden Oaks is a great place to access trails at the Hub. New Spirit is wonderful to work with, very responsive.